Jose Mourinho claims that he would not be afraid to drop any Manchester United star if it would benefit the team. The Portuguese has come under intense scrutiny over the last couple of weeks, as United struggle to get any consistency in their results. After an excellent start to his life at Old Trafford, Mourinho has overseen just one league victory in the last five games. His team’s defensive approach in the 0-0 draw with Liverpool on Monday night has drawn even more flak from the critics. Mourinho was always expected to go defensive when it comes to big matches and his staunch supporters would not have been surprised by United’s approach against Liverpool. Time for Rooney to go? The Manchester United and England striker turns 31 at the end of October, and that age wouldn’t necessarily suggest any decline in form, but Wayne Mark Rooney has many more footballing miles on his clock than most professional players of similar years. Some players find their very best form after reaching thirty-plus, two notables include former United striker Teddy Sheringham, who at 33, equalised for the Reds in their miraculous Champions League comeback win over Bayern Munich back in 1999 and also gained recognition for his fine veteran performances by winning the Professional Footballers’ Association Player of the Year in 2001. Read more about Time for Rooney to go? Recently retired Germany international Bastian Schweinsteiger has been left out of the squad poised to play for Man United in the Europa League this term. A 27-man list was submitted to continental football governing body UEFA, but the former Bayern Munich player was left out. However, there is hope he could feature in the Premier League at some point after he was named this week in the Red Devils’ squad. Manchester United goalkeeper David de Gea has welcomed French international Paul Pogba to Old Trafford and he says that it is like that the midfielder never left the club. Pogba fell out with then manager Sir Alex Ferguson and decided to join Juventus on a free transfer. The Italian club had to pay only a training compensation of £ 1.5 million for the player. In the last four years with the Italian Serie A outfit, Pogba has developed into one of the best players in the world. Even though there was interest from the likes of Barcelona and Real Madrid, the entry of United into the picture changed the entire dynamic. Manchester United have agreed a £ 26 million fee with Borussia Dortmund for the transfer of Henrikh Mkhitaryan according to widespread rumours. The Armenian midfielder has been subjected to transfer interest from several clubs across Europe. They are keen to take advantage of the fact that the player has only 12 months left on his current contract.Mkhitaryan is also believed to be keen on a more to a bigger club since this may be his last opportunity to do so at 27 years of age. Rather than lose him on a free transfer, it looks like Dortmund have agreed a transfer fee. Jose Mourinho is one of the highest rated managers in the world of football as the Portuguese coach has lifted the biggest titles there are to win in the sport. Despite being one of the most controversial and loud-mouthed figures in football, he has the titles and accomplishments to back him up. Winning the Champions League silverware with 2 different clubs is just one of the achievements that the Portuguese coach has secured in his managerial career. 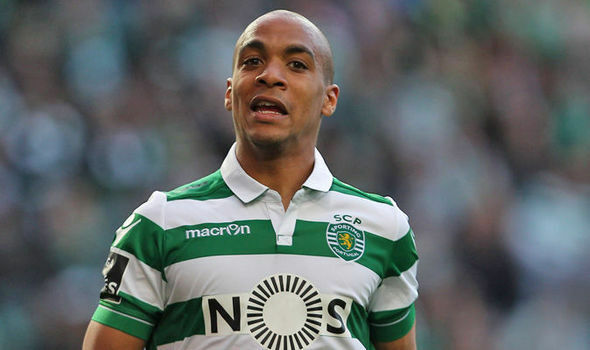 English Premier League side, Manchester United sent scouts to watch Sporting Lisbon stars Joao Mario and William Carvalho this weekend ahead of the proposed big summer transfer market they are planning. The Old Trafford club’s representative in Portugal has spent most of the campaign following starlet Renato Sanches’ progress but missed a first Benfica match since December after the midfielder signed for Bayern Munich. How will Jose assess his striking options? The doom and gloom scenario amongst the consensus of Manchester United’s support seems to be lifting after former Chelsea boss, Jose Mourinho was swiftly appointed to take over from Louis van Gaal as Old Trafford’s new manager. After two seasons of sub-standard, ineffective, possession-based football with only rare forays of attacking intent that the United faithful crave, van Gaal was given the boot in favour of his Portuguese counterpart, despite winning the FA Cup, as United look to bring the Premier League title back to the Theatre of Dreams. 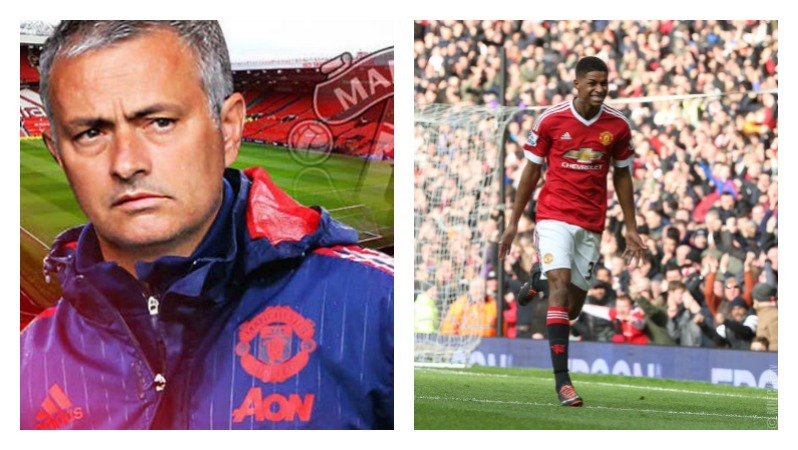 Read more about How will Jose assess his striking options? There is news that Manchester United have made a significant move to appoint Jose Mourinho as their next manager, with the Portuguese Premier League winner set to take over from Louis van Gaal. But it seems that Mourinho will prefer staying in the Premier League especially when he had suggested in the past that this is the best league in the world. Ryan Giggs has been performing for and representing Manchester United for over 25 years. It’s hard to deny the fact the influence that the Welsh has had for the Premier League club as he has helped them in winning a number of titles and ever after having retired, the loyalty that Giggs has for Manchester United is undeniable. May 19 of 2014 was the date when Ryan Giggs decided to hang up his boots and retire, however he still remains playing an important role for Manchester United as Giggs later went on to have a player-coach role for the Premier League outfit.